A police officer who tried to kiss a woman while on duty has received a final written warning for gross misconduct. The police watchdog found PC Gareth Roscoe had acted inappropriately towards the woman after entering her home in October 2016. The Independent Police Complaints Commission said he had breached standards of professional behaviour. 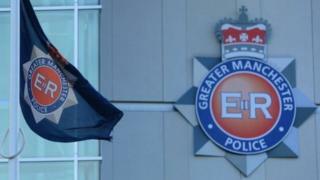 Greater Manchester Police agreed with the IPCC's findings. PC Roscoe had been attending an unrelated incident in the Heywood area of Rochdale when he came into contact with the woman, the IPCC investigation heard. They began speaking and the officer asked if she would make him a hot drink, before entering her home. A short time later he attempted to kiss her, before the control room contacted him on his police radio asking him to attend another incident. IPCC operations manager Andy Riley said: "Police officers must not abuse their position to make unwarranted approaches to people for their personal gain. "The IPCC takes such allegations extremely seriously. The case for gross misconduct was proven and PC Roscoe disciplined. "PC Roscoe may be in a minority of officers who choose to abuse their position in this way, but his actions will no doubt have an impact on public confidence in the police service."